I would like more information about 4131 S Cloverdale Ave, Los Angeles, CA 90008 MLS #19453778. Rare opportunity to own one of the best view properties in all of Los Angeles. Situated on a street to street lot at the top of coveted Baldwin Vista, this home looks out upon vistas that stretch from The Getty Museum all the way to DTLA and the mountains beyond. The style is classic mid-century ranch, well laid-out, with views from practically every room. There is a terraza entryway, a step down living room, a large kitchen, a family room anchored by an impressive rock fireplace, a sizable walk-in closet in the master bedroom and a 3-car attached garage. Occupied by the same owner for decades, this home has been well loved and is ready for the next owner's creativity. Steps away from Kenneth Hahn State Park's hiking trails and close to the Expo Line, upcoming Crenshaw/LAX line and the soon-to-be redeveloped Baldwin Hills Mall. Prepare to be blown away. The property on 4131 S Cloverdale Ave, Los Angeles, CA 90008 is listed for $1,750,000 as MLS #19453778. 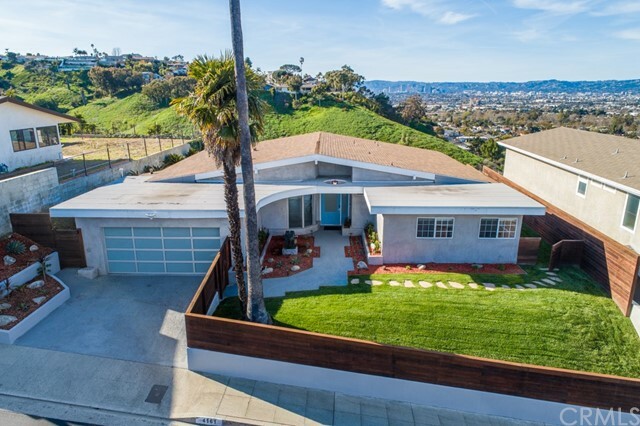 This 3 bedroom, 3 bathroom 3,176 sqft Single Family Residence built in 1960 located in Los Angeles, CA 90008. For more information regarding this or any other property in Los Angeles, please contact us at (424) 272-1339.